There are problems too, particularly a handful of script contrivances that jar. A break-up between a couple that’s engaged to be married feels strangely sterile, and the protagonist’s way of dealing with heartbreak towards the end of the film feels ‘different’ for the sake of it. But these are minor quibbles in a film that is inherently sweet. Khoobsurat, then, is a good example of how formula, when done skillfully, doesn’t have to be a bad thing. I’m going with three out of five. It may not be for everyone, but for those who seek comfort in the familiar, it’s a pretty satisfying watch. Shashank Ghosh’s Khoobsurat is a bright red lollipop. In every way, this film offers up the expected — only it does so with a smirk. Yet his Khubsoorat was always meant to be a lozenge — and, when unwrapping candy, it’s always best to know what we’re in for. So, Khoobsurat is pretty – and pretty hilarious. Romance between the lead pair is like perfume sprayed onto air while the evolution of Mili, from wild-child to dignified woman, and Vikram, from stick-in-royal-sand to a confused, vulnerable man, show. That’s what makes it so khoobsurat. It is a rare Bollywood romp in which everyone involved, on the screen and off it, seems to be having an unabashed blast. In the end, Khoobsurat is a pretty good show. It is both funny and flashy, but its many flourishes are delivered in measures that religiously avoid excess. 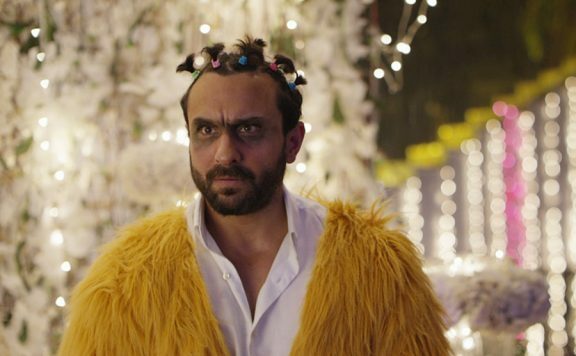 One of the most pleasant surprises of ‘Khubsoorat’, I’m happy to report, is that Kapoor is not half-bad.‘Khubsoorat’ is bubblegum-y and air-headed and good-natured, and its biggest strength is that it keeps it consistent, becoming one of those films that over-delivers precisely because it under-promises. Verily, I say, a rom com. As a result, Khoobsurat is a film that could have been infinitely worse if not for its supporting cast, cosmetically enhanced mansions and music (Sneha Khanwalkar) that is perhaps too funky and authentic for the candy-flossed treatment. This is no path breaker but for the fact that I just can’t fault it, I still have a smile plastered on my face and I’ll probably go see it again… tomorrow, I am giving it 4 warm happy stars. KHOOBSURAT seems to be nowhere near the original. Despite its flaws, KHOOBSURAT does manage to capture your heart at places. The film’s screenplay (Indira Bisht) falters at a lot of places. Though the film starts on a promising note, the story and screenplay have no meat in the second half and all characters seem to have lost direction. 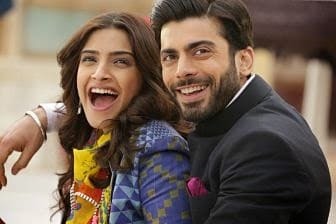 Overall, KHOOBSURAT is likeable in parts with good performances and stunning visuals; however the weak script is an ‘ugly’ hurdle this film will face at the box-office.